When it comes to taking care of your home's air conditioning system, there are many homeowners out there who only pick up the phone to call for service once something noticeable goes wrong with their system. 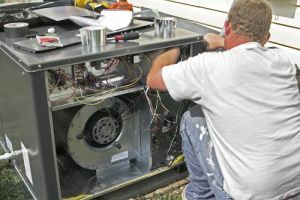 While it is important to get the repairs you system needs in a timely manner, there are many of these issues that can be prevented altogether by investing in regular tune-ups for your air conditioning system. Here at Mobley Heating & Air, we make it our mission to ensure that your home's air conditioning system gets the care it needs to keep your home cool and comfortable for you and your family at all times, and air conditioning tune-ups are an important part of that equation. For all of your air conditioning tune-up needs, you can always count on our experienced air conditioning company to provide you with the knowledgeable and professional service you need to keep your system running its best year after year. With all of the strain that your system gets put through year after year, regular air conditioning tune-ups are an important part of keeping your system healthy as it ages, and can actually help to reduce the frequency of any repair needs you might have. During the course of your tune-up, our team of local air conditioning and heating experts will give your system a thorough inspection and ensure that everything is operating like it should be. If we find anything out of place, we will get right to work on resolving the issue before it has a chance to develop into something more serious, and we will also make sure that your system is cleared of any dirt or debris that could be causing unnecessary strain or wear. If you have any questions about our full line of high quality air conditioning tune-up services, or if you would like to schedule an appointment for consultation with one of our specialists, give us a call today. Our team of experts are always standing by and would be more than happy to assist you in any way we can. Lower Energy Costs - Regular tune-ups can help you drastically cut down on your monthly energy bills by reducing strain on your system. Extend Your System's Lifespan - Investing in regular care will ensure that your system stays healthier for longer, and can be a great way to keep your system running effectively all throughout its life. Prevent Breakdowns - Regular tune-ups will ensure that any major issues are caught before they have a chance to develop into something catastrophic that could cause your entire system to stop working when you need it most. Enhance The Comfort Of Your Home - Regular tune-ups for your home's air conditioning system will help to keep it healthy over the years of its life, helping it to more effectively cool your home, giving you and your family a more comfortable environment during the warmer months of the year. 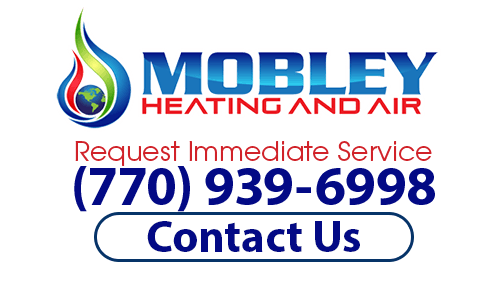 If you need reliable air conditioning tune-up services, then please call (770) 939-6998 or complete our online request form.